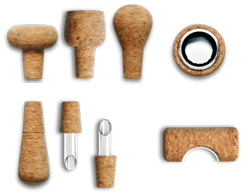 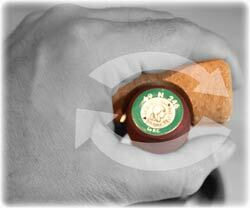 wine bottle and foil cutter in hand, set the bottle down, preferably on a counter or table for security reasons. 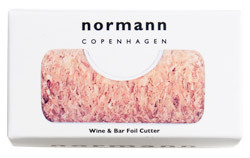 Hold the foil cutter in the palm of your hand and wrap your thumb around the neck of the bottle, to adjust the pressure. 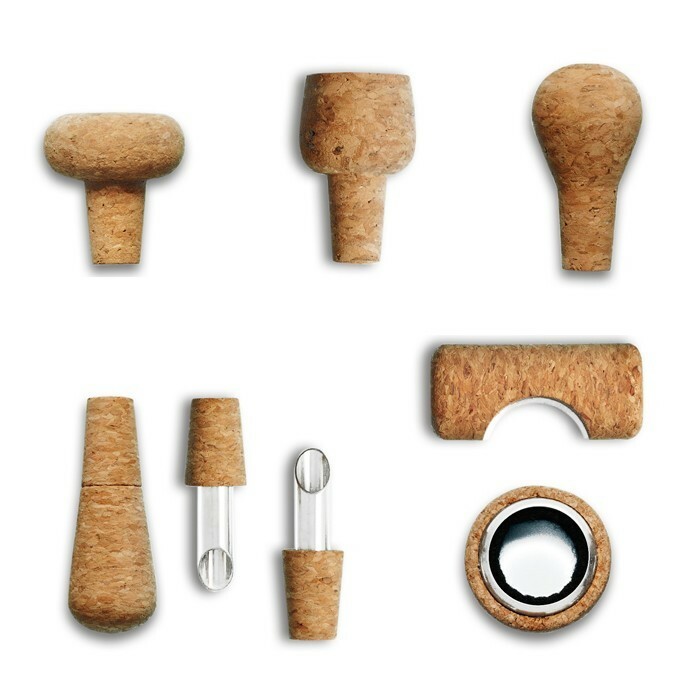 Thanks to their impeccable packaging, the different elements of the Wine & Bar series make excellent gifts that you can offer one year after the next, adding a new accessory each time! 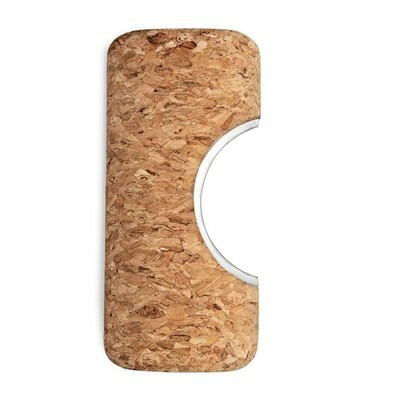 natural: a little stainless steel and a lot of cork gives this foil cutter a look that goes as well in a rustic kitchen as in an ultra-modern one thanks to the skills of a French designer and the high standards of a talented Danish design firm. 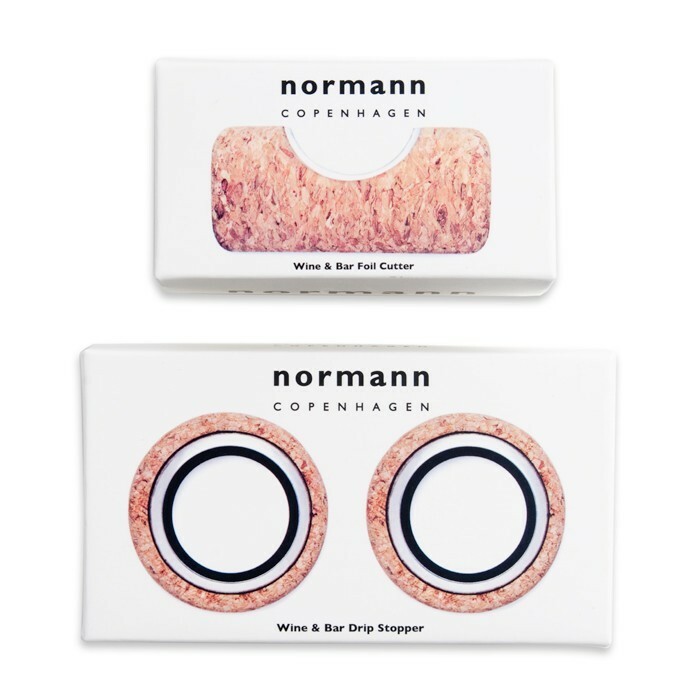 sturdy: thanks to its ultra-simple design (a steel blade wrapped in a block of cork), the Normann foil cutter will last a very long time and can be handed down from one generation to another. 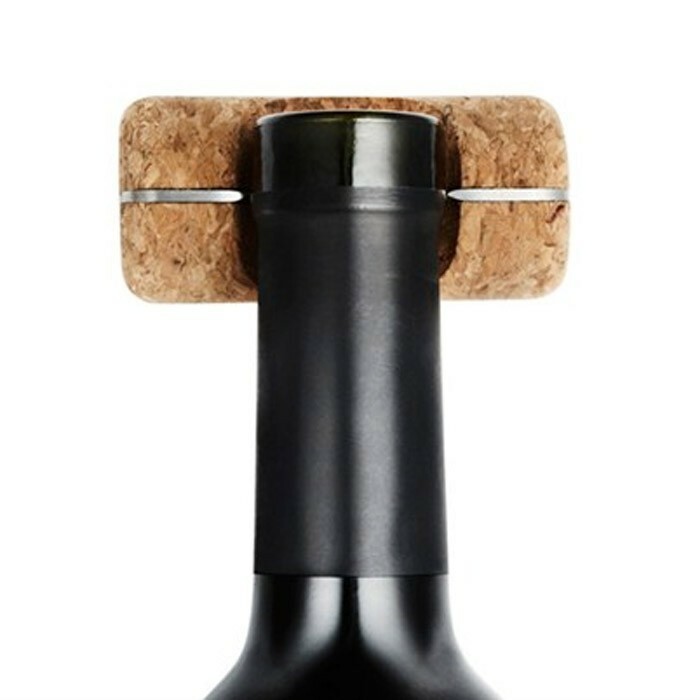 functional: this foil cutter, with its straightforward conception, offers more flexibility than many similar products on the market: you cut where you want, on the bottom of the bottleneck, or a little higher, or a little lower, as you like it.